The recent announcement by scientists that there is a ‘God gene’ has excited many observers who have started to pressure researchers into refining genetic engineering to the point where they can alter a living person’s DNA by adding and removing genes. 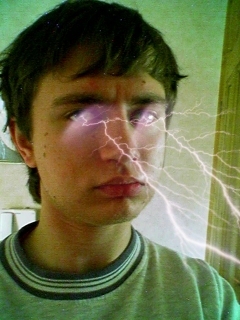 Ben Dickson stated that if he became omnipotent he would attack innocent people with his lightning vision for a laugh. Some people have questioned the scientists’ claims, suggesting it is just a ploy to sell their new book ‘How to build your own god gene and become omnipotent in 21 days’ – whilst others have questioned the notion of having multiple omnipotent beings in the universe. The opinion is quite common and has resulted in many people who doubt the scientists claims. They have been dubbed ‘Genatheists’ and are made up by a mixture of atheists and committed members of all monotheistic religious. Many agnostics were approached about joining the cult but claimed they had not yet made up their minds on the issue.